ICICI Prudential Focused Bluechip Equity Fund has delivered outstanding risk adjusted performance relative to its peer set, ever since its launch in 2008. Even in the last one year, when equity market conditions have been difficult, ICICI Prudential Focused Bluechip Equity Fund has delivered nearly 7% returns, while the Nifty rose less than 2%. The fund has outperformed the Nifty, even over the last 3 and 5 years, as we can see in the chart below (periods ending July 12, 2016). The strong performance of this large cap fund over the last several years, has made it very popular with investors leading to a rapid growth in the assets under management, which currently stands at over र 11,120 crores making it one of the largest large cap funds in terms of AUM size. Last year, we reviewed ICICI Prudential Focused Bluechip Equity Fund in our post, Consistently strong performance from one of the most popular large cap funds. 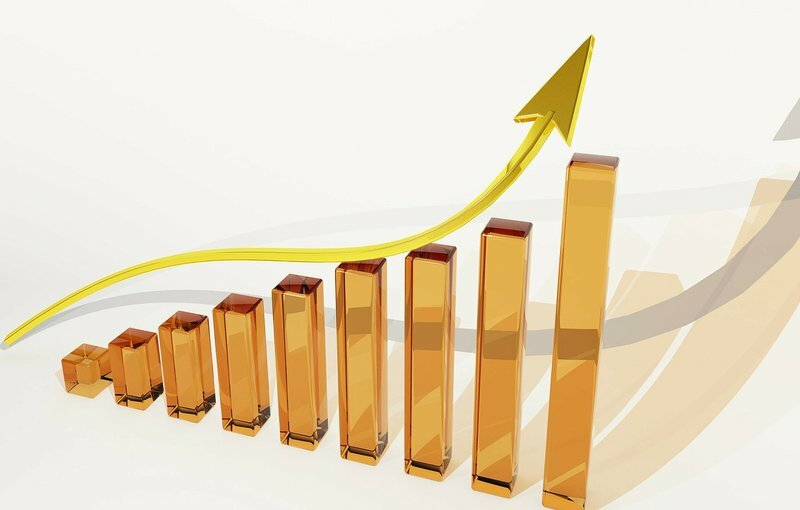 The fund has sustained its performance consistency and has been highly ranked by CRISIL as a consistent performer in their last quarterly mutual fund rankings. The fund was launched in May 2008. It has delivered 15% annualized returns since inception. The expense ratio of the fund is 2.11%. Manish Gunwani took over as the fund manager of the scheme in 2012, following the exit of Prashant Kothari. The fund has delivered superb performance under Gunwani’s stewardship and he has recently been promoted to the position of deputy CIO of ICICI Prudential Mutual Fund. The fund has consistently ranked in the top quartile of large cap funds in terms of three year annualized trailing returns in the last 3 quarters (please see our quartile ranking tool, Mutual Fund Quartile Ranking - Equity Funds Large Cap). The chart below shows the annual returns of ICICI Prudential Focused Bluechip Equity Fund and Nifty over the past 5 years. We can see that the fund outperformed the market across different market conditions. The chart below shows the 3 year rolling returns of ICICI Prudential Focused Bluechip Equity Fund since its inception. Rolling returns are the annualized returns of the scheme taken for a specified period on every day/week/month and taken till the last day of the duration. We have chosen 3 years as the rolling returns time period because it is always recommended that long term investors should hold equity funds for at least 3 years. Rolling return is one the best measures of performance consistency. The orange line shows the 3 year rolling returns of fund since inception while the blue line shows the 3 year rolling returns of the benchmark index, CNX Nifty. If we compare the 3 year rolling returns of ICICI Prudential Focused Bluechip Equity Fund with Nifty since the inception of the fund, we can see that fund has beaten the Nifty on a consistent basis nearly 100% of the times. You can also see that the margin of outperformance by ICICI Prudential Focused Bluechip Equity Fund over Nifty is fairly stable, which shows consistent fund management approach and prudent risk management principles. The surge in AUM has led the fund managers to expand its initial portfolio of around 20 high conviction stocks. The current portfolio of ICICI Prudential Focused Bluechip Equity Fund has around 50 stocks with a pronounced bias towards banking and financial services. In fact the weight of the fund’s top 3 bank holdings, namely HDFC Bank, ICICI Bank and Axis Bank exceed 20% of the overall portfolio (as of May, 2016). Banking and financial services as a sector comprises nearly 34% of the portfolio value, which is around the same weight, the sector has in the benchmark index CNX Nifty. IT, Pharmaceuticals and FMCG comprise over 22% of the portfolio value, whereas the total weight of these defensive sectors in Nifty is more than 30%. The fund manager’s cyclical bias along with stock selection has helped him to beat the Nifty by a significant margin. In terms of company concentration, ICICI Prudential Focused Bluechip Equity Fund, as the name suggests has a concentrated portfolio. The Top 5 names, HDFC Bank, ICICI Bank, Infosys, Axis Bank and Bajaj Finserv account for more than 30% of the portfolio. Despite its concentrated portfolio with significant cyclical bias, the volatility of ICICI Prudential Focused Bluechip Equity Fund is lower than the average volatility of large cap funds (as a category), showing strong risk adjusted returns. However, the Sharpe Ratio of the fund is significantly higher than that of category. The Beta of the fund is in line with the average Betas of Large Cap funds, but ICICI Prudential Focused Bluechip Equity Fund has delivered outstanding Alpha. The chart below shows the growth of र 100,000 lump sum investment in ICICI Prudential Focused Bluechip Equity Fund over the last 5 years. You can see that, र 100,000 lump sum investment in ICICI Prudential Focused Bluechip Equity Fund over the last 5 years would have grown to र 189,000; a profit of र 89,000 on an investment of र 100,000. This has been one of the most popular funds with investors over the years. The fund has sustained its strong performance in different market conditions. As correcting sharply from March 2015 to March 2016, the equity market in India, especially the large cap segment, has staged a strong recovery over the past 3 – 4 months. There are signs of revival in corporate earnings in the last quarterly earnings. If the earnings growth sustains and strengthens in the coming quarters, notwithstanding some more pain due to loss recognition in banking sector, ICICI Prudential Focused Bluechip Equity Fund is poised to deliver strong outperformance over the next few years.